Ralph Zuranski: What is your definition of heroism? Ruben Gonzalez: I believe a hero is just someone who is called to a journey or called to mission, has that calling and they actually go and be scared to go out there but face those fears and act in spite of those fears. Ruben Gonzalez: In the process of chasing that dream or whatever it was they were transformed because they had to become a better person and learn what they were all about. Ruben Gonzalez: They return a transformed person and everybody says they are a hero but actually they just did something that anybody else could have done as well, facing their fears and going out for it. Ralph Zuranski: Do you have the courage to pursue new ideas? Ruben Gonzalez: Yes, no doubt. Sometimes people think that courage means there is no fear. Courage is just acting in spite of that fear. I was scared, I had the Olympic dream when I first saw the Olympics when I was in the third grade and I didn’t believe I could do it. Ruben Gonzalez: I let my fears overwhelm me and it wasn’t for ten years of growth to get myself where I was ready to take action and only when you take action and start facing those fears is when you are acting with courage. Ruben Gonzalez: So now that I know better whenever I am faced with fear I learn that fear is really a smoke screen. It is really fear of the unknown so if I face that fear and go on I am acting in a courageous way. Ruben Gonzalez: If I turn around and run from a fear I am acting like a coward. I don’t want to be coward. I fear of being a coward more than I fear of that fear. So that’s kind of what gets me going. Ralph Zuranski: Did you believe your dreams would eventually become reality? Ruben Gonzalez: Belief is everything. It really is. Napoleon Hill said “What you conceive and what you believe is what you can achieve.” Well that sounds great but if don’t believe in yourself than that is not going to help much. Ruben Gonzalez: I had to get myself to a point where I believed that I had what it took to make it happen and I did it by reading books and hanging around winners. My dad always said the people you hang around with and the books you read help determine if your dreams come true. Ruben Gonzalez: If you hang around winners, winners believe more and you kind of buy off their belief until your belied kicks in. Ralph Zuranski: Who do you think are the HEROES today that are not getting the recognition they deserve? Ruben Gonzalez: I think people like teachers, firefighters and policeman and the guys that are defending our liberty out in the military. Those people are making such a low amount of money for what they do. Ruben Gonzalez: A lot of times they are putting their life on the line and they are making a huge difference in peoples lives. They are doing what other people are not willing to do so they are heroes for sure. Ruben Gonzalez: I also think people are wired differently, just by personality types. Some people are wired where they do need the recognition and I don’t think there is anything wrong with that as long as they are getting the job done. Ruben Gonzalez: Other people feel more comfortable in being behind the lines, being support personal. Its funny, some things I want to be in the lime light and some things I prefer to be in the background so I think it shifts. Ruben Gonzalez: I think where the persons heart is, is the key factor. Something happened to me at the Salt Lake City Olympics that made it possible for me to compete. We were training and this was three days before the men’s race. At the Salt Lake City Olympics we are training on the track. Ruben Gonzalez: We get seven trainings on the week before and I had a terrible crash on one of those rounds. I just wasn’t paying attention believe it or not and had an awful crash and my sled was pretty messed up. Ruben Gonzalez: This guy walks up to me, his name is Jonathan Edwards, he had completed in the Luge back in 1994 and I didn’t even know him. He walks up to me and he says “Hey Ruben just give me a file and in thirty minutes I will have fixed that sled for you.” He didn’t have to do that. Ralph Zuranski: How do people become heroes? Ruben Gonzalez: The attitude that you have, overcoming your fears with courage and helping others. If you have a calling that in your gut and heart that is telling you to go and do something and you do it that is a hero. Ruben Gonzalez: If you allow your fear to hold you back then that is devastating because you can never grow into a better person if you don’t challenge yourself. Ralph Zuranski: What are the things parents can do that will help their children realize they too can be HEROES and make a positive impact on the lives of others? Ruben Gonzalez: You have to lead by example. You have to always show your kids and surround them with examples. For example, I have a four year old girl, she is almost five and we read her biographies at night. Ruben Gonzalez: We read her stories of people who had to overcome. I want her to always know who heroes are and what they did to become heroes. These people actually overcame and people look up to them for what they did and this is something I want her to know that she can do too. Ruben Gonzalez: Our last name is Gonzalez so I will ask her “What do Gonzalez’s never do” and she says ”Never quit” and “What can we always do” and she says “Make our dreams come true”. Ruben Gonzalez: So I am encouraging her and I’m giving her belief. I’m instilling beliefs in her and she knows as long as she doesn’t quit there is always a chance. So that is what I think parents need to do. Ralph Zuranski: Do you think It is important to hang around people who believe in your dream also rather than people who bring you down? Ruben Gonzalez: Absolutely, you have to. It’s critical. When I was twenty one and I realized I was going to go for it I realized that there are two types of people in the world. They are either on your team or not on your team. Ruben Gonzalez: They are either on your dream team or they’re not. The quicker you can figure out which team they are on the better it is for you. I would tell everybody what my dream was. Ruben Gonzalez: I would say “Hey, I am taking up the sport of Luge and I am going to be in the Olympics in four years.” I was testing them. They didn’t know I was testing them but I was. Ruben Gonzalez: They would either laugh at me when I said that or chuckle, roll their eyes and I knew they didn’t believe so I stopped hanging around with them. I couldn’t allow their disbelief to erode my belief. Ruben Gonzalez: On the other hand if they got excited and said “Wow, the Olympics tell me more I want to help.” It that happened I just found someone that believed and I held on to them like they were made out of gold. That person was going to help me when my belief needed a boost. Ralph Zuranski: Why do you need courage to succeed? Ruben Gonzalez: You have got to have two types of courage to succeed. You have to have the guts to get started and I guarantee as soon as you get started, life is going to start throwing you and smacking you with all of these obstacles and things are going to happen and when that happens you have got to have the guts to not quit. Ruben Gonzalez: My book is called “The Courage to Succeed” because it is not about the courage I have to have; it is about the courage that anybody has to have. How do you develop that courage? How do you make it happen? Ralph Zuranski: What are the beliefs and desires that are so important to win in life? Ruben Gonzalez: In the Olympic Training Center everything they teach us from a mental training standpoint as the inner game of sports and of life that everything is designed to do two things; to teach our self belief because they know that if we believe something is possible then we will take action, we will take action and that is the first type of courage. Ruben Gonzalez: The second thing they are trying to accomplish is is for us to feel our desire because if you want something bad enough nothing is going to make you quit. If you believe it can happen and you want it bad enough then you will get started and you will not quit, then miracles start happening so it is all about your belief and your desire. Ruben Gonzalez: Your belief is the people you hang around with and the desire, what we do to fulfill our desire is number one we are very careful about our self talk only saying positive affirmations about what we are going to do, we set goals and we also do lots of visualization because when you see it like that and you imagine it like that you get really excited and you get in front of that mirror and you say “I will be an Olympian, I can do it. I know I can do it” your subconscious mind can’t tell the difference between that and what is actually happening and you become unstoppable on the way to your dream. Ruben Gonzalez wasn’t a gifted athlete. He didn’t take up the sport of luge until he was 21. Against all odds, four years later he was competing in the Winter Olympics. At the age of 39 he was racing against 20-year-olds in the Salt Lake City Olympics! He takes people’s excuses away. He’s the Rudy of the Olympics. He’s proof that ordinary people can achieve extraordinary things if they will follow a few simple steps. From the insights of Three-time Olympian and peak-performance expert Ruben Gonzalez, comes a motivational keynote about taking control of your business and your life. Ruben Speaks from Olympic experience. He teaches the personal effectiveness system he used to achieve success again and again in both the Olympics and in business. Ruben’s funny, direct and on target. He doesn’t pull any punches. He tells it like it is. He’s on a mission to inspire and equip people to think differently, to take immediate action, and to produce better results. Ruben’s story fills people with the spirit of teamwork, commitment to excellence, and personal dedication they need to succeed. His story will renew the pride and dedication of everyone in your organization, from top executives to your newest employee. People to stop making excuses, start taking personal responsibility and start committing to their dreams and goals, so they will realize their potential. 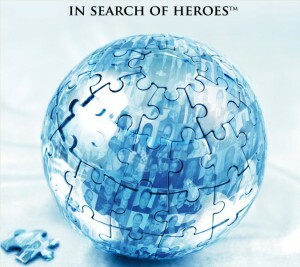 Unforgettable, fast paced, fun, and packed with information that will help your people achieve extraordinary results. His keynote is an Olympic Experience your audience will NEVER forget! He’ll make you look great! As an internationally recognized speaker, audiences of every type have enjoyed his humorous, thought-provoking, transformational style. Achieving Greatness: Great people were not born great. They became great by making a decision to pursue their dream in life and by refusing to give up. The struggle we must all face on the road to our dreams is what makes us great. Ordinary people can become extraordinary if they dedicate their lives to the pursuit of their dreams. Living Your Life as an Adventure: Deep down in every heart is the desire to be somebody, to do something great. In the third Grade I had the call, the beckoning, an inner longing to go to the Olympics. To strike out on an adventure. I refused the call out of fear, out of a low self image, out of lack of belief that I could ever be an Olympian. At age 21 I overcame my fears and I accepted the call. What was the difference? How did I change? What gave me courage? The books I read and the people I consistently associated with. Refusal of the call would have been devastating. Those who refuse the call can never be heroes. They are destined to live with regret. A life with no peak experiences. A life of quiet desperation. Courage: You will never achieve anything great in life unless you dare to believe that something inside you is bigger than the circumstances you face. When we think about or dreams, it is like a call to arms. A call to take an adventurous journey. The spiritual journey takes us inward and downward to face the hardest realities of our lives. We must understand and acknowledge that the enemy is within – fear of failure. Accepting the call requires courage. Courage is not the absence of fear. It is acting in spite of fear. Action is the proof of your courage. Courage is going against the odds, against popular opinion. It’s doing what most people aren’t willing to do. Having the heart to choose your own course of action. And taking responsibility when you fail or stumble. With Courage you can do almost anything. Without it even a brilliant person accomplishes little. Ruben is as experienced a motivational speaker as you could ever hope to have. Call today and make your next event unforgettable.